Tags: earrings, statement earrings, teardrop earrings. 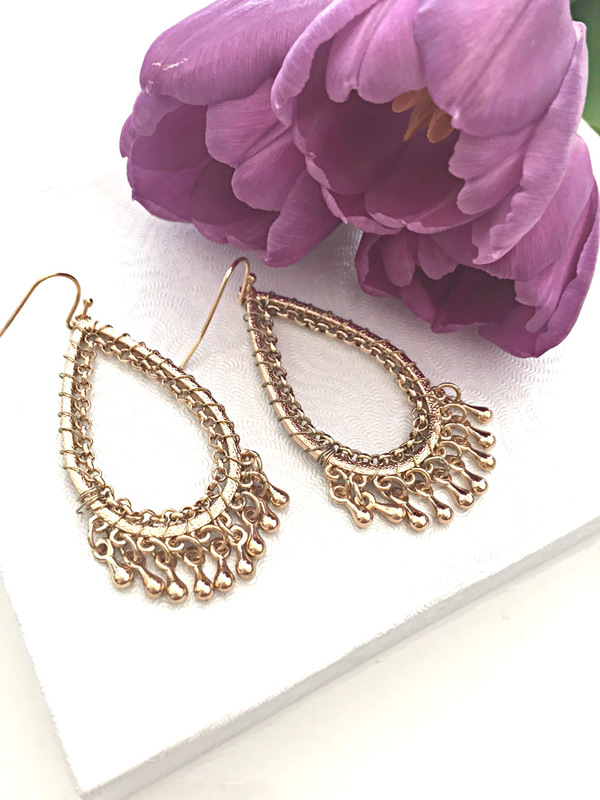 Our Teardrop Wrapped Statement earrings feature a teardrop shaped hoop design wrapped with gold plated wire and accentuated with beaded fringe. 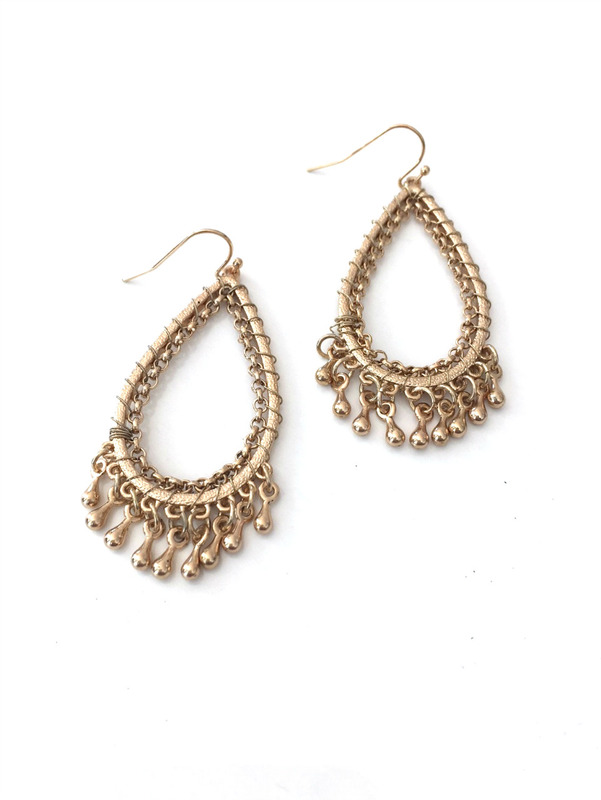 These earrings are a perfect mix of both vintage and modern, making them a must-have for any Diva!